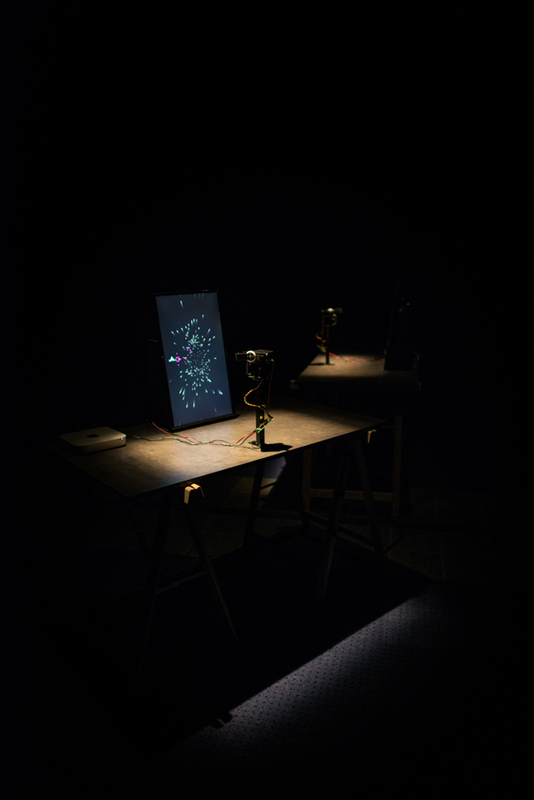 Installation / videogame for robots. 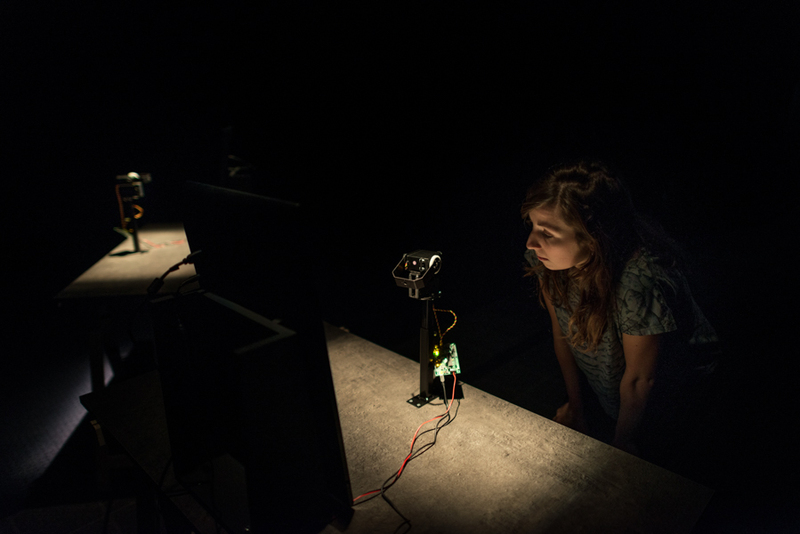 In the middle of a dark room, two robots, each one placed in front of a screen, fight each other in an infinite, absurd and minimalist video game play. 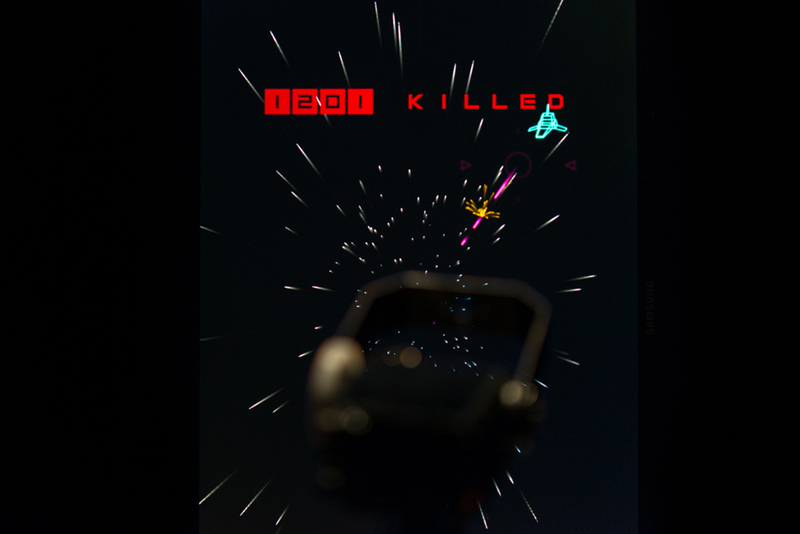 This confrontation goes on endlessly : the opponents cross respectively an asteroid field on which they shoot frantically, but the game never reaches the end. Production : Ecole Européenne Supérieure de l'Image & Lieu Multiple/Espace Mendès-France.